Bluetooth, Aluminum Wheels, Back-Up Camera, iPod/MP3 Input, Satellite Radio. GRAPHITE exterior and GRAY interior, LE trim. FUEL EFFICIENT 40 MPG Hwy/32 MPG City! Warranty 5 yrs/60k Miles - Drivetrain Warranty; CLICK ME!======KEY FEATURES INCLUDE: Back-Up Camera, Satellite Radio, iPod/MP3 Input, Bluetooth, Aluminum Wheels Rear Spoiler, MP3 Player, Keyless Entry, Child Safety Locks, Steering Wheel Controls. Toyota LE with GRAPHITE exterior and GRAY interior features a 4 Cylinder Engine with 106 HP at 6000 RPM*. ======VEHICLE REVIEWS: Great Gas Mileage: 40 MPG Hwy. Horsepower calculations based on trim engine configuration. Fuel economy calculations based on original manufacturer data for trim engine configuration. Please confirm the accuracy of the included equipment by calling us prior to purchase. Why Buy New Toyota Cars and Minivans at Findlay Toyota? 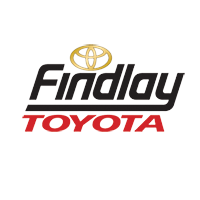 Don’t miss out on new Toyota cars and minivans at Findlay Toyota! You can take your time asking questions and taking all the test drives you want, because we want you to feel totally comfortable in your experience and the choice you make. We have a full inventory of options to show you that your budget will love. Come take a test drive at Findlay Toyota today — your new Toyota car or minivan is just waiting for you!